It is a real RC model, takes us three years to develop it. In 1:28 RC model field, except KYOSHO in Japan, this one IW04M is the best one. Now here come it is, Let’s enjoy the perfect 4WD drifting RCR, whenever and wherever, have fun. RC model with professional transmitter, have mass car control parameters adjusting and setting, model frame is designed, light weight, high performance. Upgrade is available, and replace damaged parts .With profession differential, 4 wheels shock-leak separately, end point adjustment, (EPA steering and throttle) Change the parts will upgrade the model performance. At least a dozen or even hundreds of models, play together and will not interfere with each other. 2. 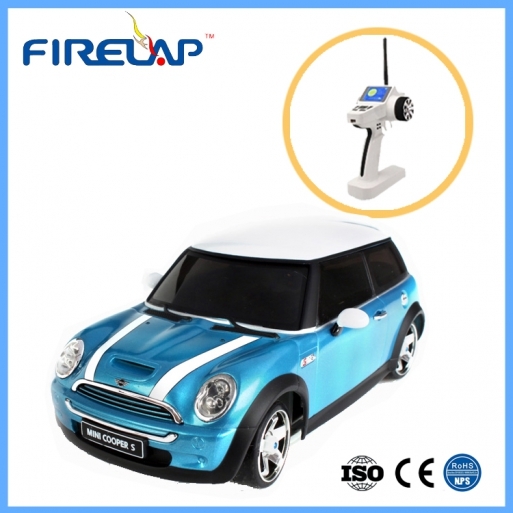 Remote control distance is based on requirement to adjust.You can use the button on the transmitter to adjust the distant to 100 meters or 500 meters.